Toni Jordan discusses Addition. ; Alison Croggon discusses The gift. Toni Jordan strikes a fabulous blow for resolute individuality with her novel, Addition. It tells the story of Grace, a woman whose obsession with numbers and counting things seriously affects how she lives. 'A stylish, witty and moving love story.' Sigrid Thornton. 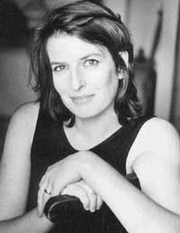 Alison Croggon was born in South Africa, has worked as a journalist for the Sydney Morning Herald and has won awards for her collections of poetry. Alison has written three novels in the fantasy genre series, Pellinor, with a fourth due for publication in 2008. Hear Toni and Alison discuss their writing as part of the Books Alive 2008 campaign in conjunction with The Big Book Club. Alison Croggon's book The Singing was available from LibraryThing Early Reviewers. Alison Croggon is currently considered a "single author." If one or more works are by a distinct, homonymous authors, go ahead and split the author. Alison Croggon is composed of 4 names. You can examine and separate out names.